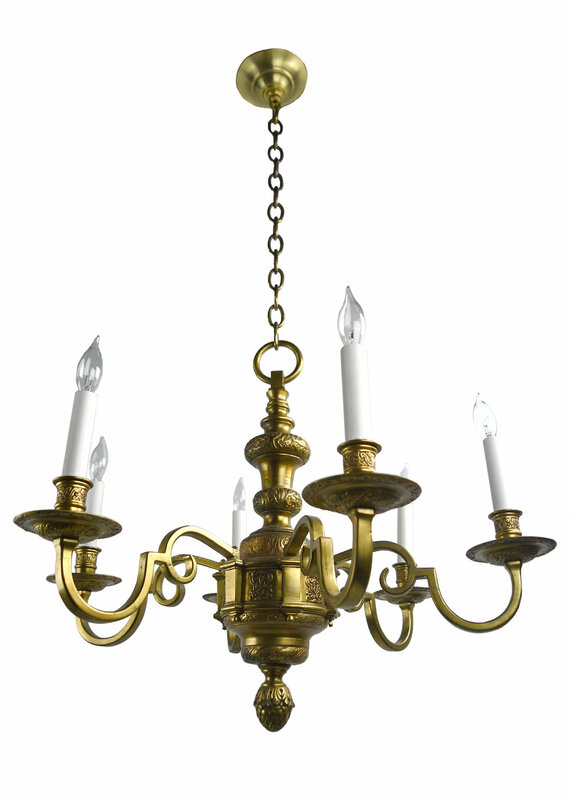 This neoclassical style chandelier has intricate floral detailing and is made of lovely cast brass. 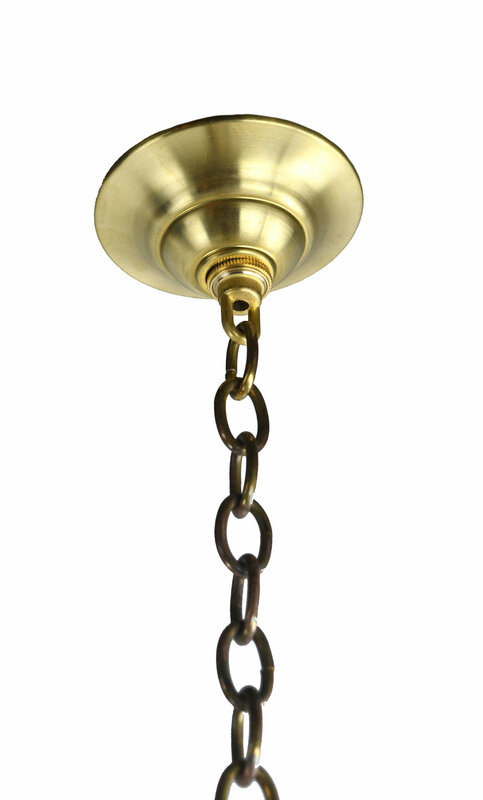 The design features a mixture of sharp angles and winding curves, giving this light a unique look. 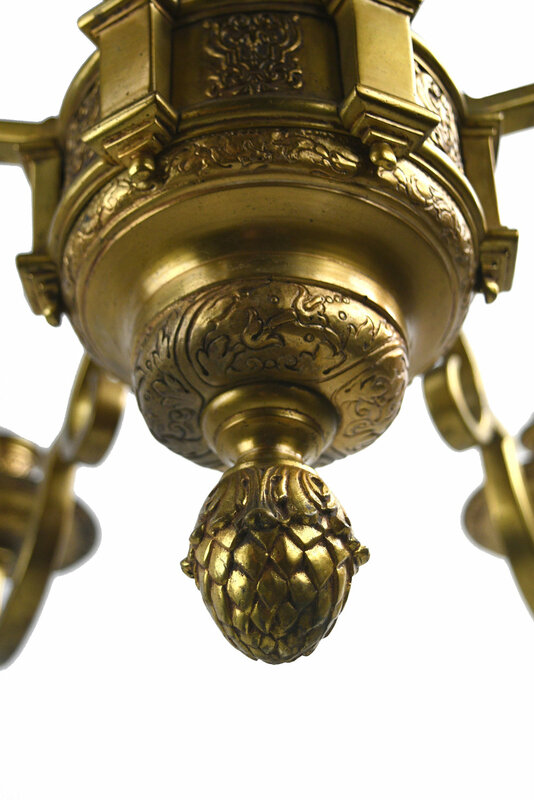 A handsomely crafted finial hangs below this stunning light fixture. Be sure to include the Product ID AA#48148 when making your offer.